Mr. Sabino has more than two decades of institutional equity experience, most recently serving Bank of America Merrill Lynch (BAML) as a financial advisor and senior energy sector specialist. Mr. Sabino has more than 13 years of energy sector experience. At BAML, he worked with numerous traders, research analysts and salespeople, in addition to BAML’s banking and capital markets teams, developing ideas and cultivating client releationships. He led the firm’s messaging across the energy sector. Over the last eight years, he worked closely with energy banking teams globally, offering guidance and ideas to the trading desk and clients and worked with institutional clients across buy-side organizations. He also advised corporate clients on the performance of their equities, as well as intelligence on investor sentiment. Prior to BAML, he worked in various energy and equity roles at ICAP, Citigroup, Hambrecht and Quist, and Salomon Smith Barney. Mr. Sabino maintains his registration with FINRA as a broker. Mr. Sabino earned a Bachelor of Arts in political science from Johns Hopkins University. “We’re very pleased to have Rory join the Continental team,” said Harold Hamm, chairman and chief executive officer. 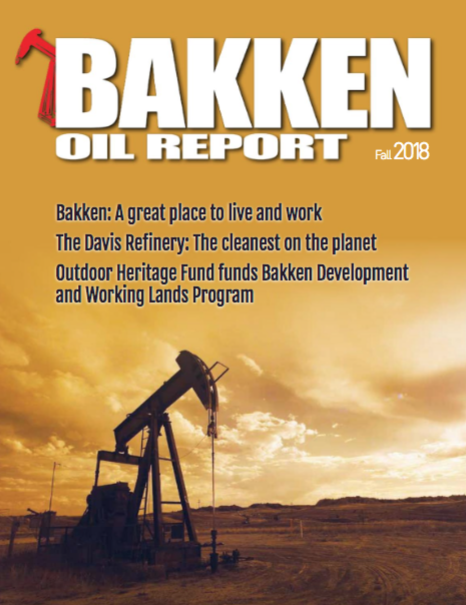 “He brings a depth of knowledge and expertise in communicating with investment professionals about the U.S. energy industry, as well as a passion for exploration and production. Warren Henry, who established Continental’s IR department soon after the company went public in 2007, is retiring. “Warren has done an outstanding job, and we sincerely appreciate his leadership over these transformative years. We wish Stephanie and Warren and their pup, Winston, all the best in their retirement,” said Jack Stark, president. He noted that Mr. Henry will remain with the company through the end of March to help with the leadership transition.